It may surprise you to know that I am the most interesting man in the world. Frankly, I was surprised myself. 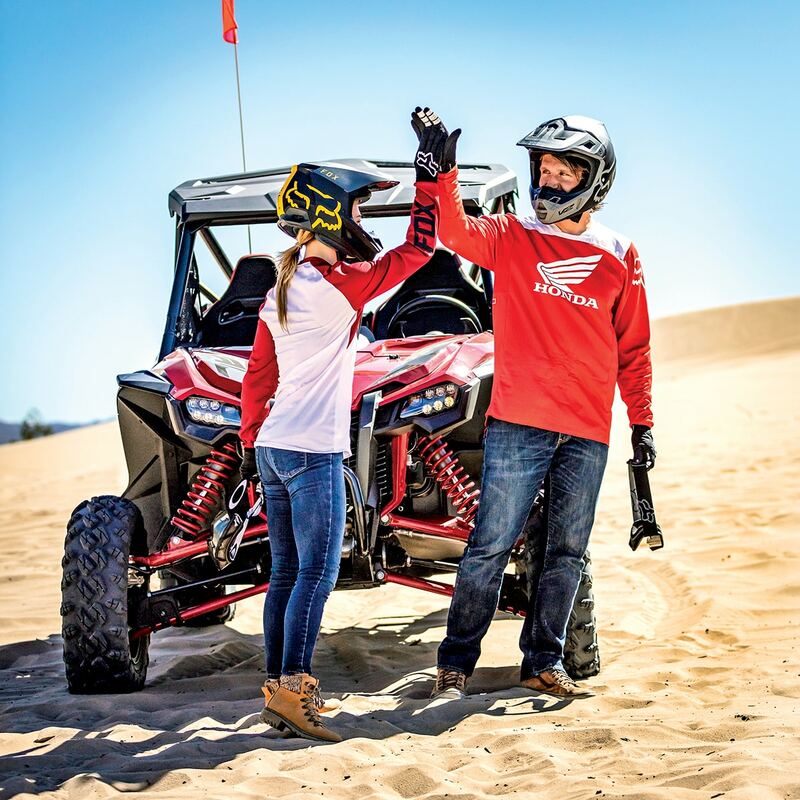 My life was completely normal, except that I get to drive a lot of very cool UTVs in neat places, and then something extra special happened—I got to drive the new Honda Talon sport UTVs before most people. It was a brief ride, but I got to take turns as driver and passenger in the Talon 1000R and the Talon 1000X. Suddenly, I can be around a familiar crowd of UTVers or UTV enthusiasts who are complete strangers, and when I mention that I’ve driven the Talons, which I rarely forget to do lately, I attract attention like never before. If I find myself somewhere where people don’t care about UTVs, wherever that is, I may discover that I’m just the most interesting man in the UTV world, not the whole world, but I don’t know why I’d go or how to get to that strange place. There’s also a chance that another one or more of the small group of UTV journalists and Honda staff who got to experience the Talon early may show up at the same place as me and people may find them just as interesting as me. That’s unlikely, but it would make us all the most interesting men and women in the UTV world. That’s good; I don’t need all the attention. Soon, lots more people including you will get a chance to drive the Talons. I guess Honda is determined to make me seem less interesting by letting people drive them at demo events all over the country (see www.utvactionmag.com for the list). For now, you can only find out what the Talons are like from me, and www.utvactionmag.com, and UTV Action’s big special report in our February issue, and a handful of other people who may not be as interesting as me. Here are a few things from my notes from my drive in the Talons you may find interesting. The Talons both have exceptional line-holding ability. As you’d expect, the longer-travel Talon 1000R is even more impressive than the Talon 1000X in whoops at high speed, but these machines are amazingly relaxed and stable in rough terrain. They also corner with a rare combination of agility, accuracy and stability. Honda had the time to get the chassis geometry, frame rigidity and weight distribution they felt was ideal, and the results are remarkable. The Talons offer outstanding comfort. The roomy cabin, seat size, shape, density, and the relative position and angles of the seat, steering wheel, door arm rests, floor and floor foot rests all work together to give them just the right feel. Honda’s attention to ergonomics is astounding, and it shows. Honda also had time to see what was good, bad and missing from what was out there, and they didn’t waste it. Door armrests may seem like a small thing, but there’s a reason you’ve probably never ridden in a road car without them. The Honda’s power delivery and sound are distinctive and really good. Having a fully automatic transmission you can shift any time you like, or operate manually, creates all sorts of possibilities for controlling the power. The machine’s sound is cool for the people in the Talon and for anyone it goes by. Obviously, Honda spent plenty of time tuning the intake and exhaust. Unfortunately for me, my time as the most interesting man in the world is limited, but our time with the Talons and the models that will follow is just beginning. That’s going to be really interesting.